On Monday 20th October 2014 (today!) 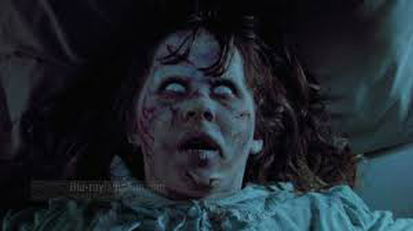 - The Exorcist turns 40! For forty years the film has been gripping and terrifying generations of fear hungry horror fans. It has been banned across multiple continents and has been the cause of fierce theological and religious debate ever since it was released. There have been many, many articles, blog entries and documentaries devoted to the background and so called “Exorcist curse” Whilst these stories make fascinating reading or viewing (there are some great ones on the extra disc of the 2000 Extended Directors cut) it is not my intention to spend time on them. Horror fans have long known that if you ban a film it almost guarantees its cult status, something that perhaps the film boards should have realised a long time ago! But TheExorcist can more than hold its own without any additional media titillation. 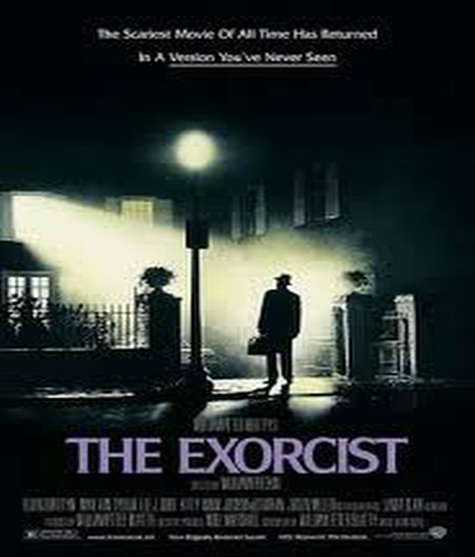 Based on the novel by William Peter Blatty, itself alleged to be inspired by true events surrounding the exorcism of a young boy in 1949, William Friedkin's direction of the film is nothing short of brilliant. Its true to say he has assembled an inspired and talented cast. Father Merrin, played by Max Von Sydow (or Ming as I like to call him) the demonic Regan (Linda Blair) and Ellen Burstyn playing her distraught mother. Once cannot forget the excellent performance from Jason Miller as the tortured Father Karras either and a role that Miller reprises in the, oft derided, but excellent sequel Exorcist 3. The pace of Friedkin's direction really does not falter from the opening scenes in Iraq, actually filmed in Iraq as well, to the final scenes following Karras's dive down the stairs. Yet neither is it all action and demonic pea soup spray. For me, the true horror can be found in the fractured relationships. Witness Merrins disillusion with the church, Karrass's struggle with psychology versus faith and his guilt over the death of his mother but perhaps centrally it is the total despair of a mother who is struggling to save her sick daughter. However this is no weak horror film. The possession sequences are some of the most famous and oft quoted. Almost every possession focused horror film since The Exorcists release has sought to copy or tip its hat to the work done here. The convulsions that Regan undergoes are so strenuous that Blair incurred serious neck and back injuries as a result of them. This is a horror film that was made well before CGI came along so all the effects are pain painstakingly staged. They just work and still to this day have a way of transfixing an audience. Clearly though, there are elements that don’t stand the test of time well. Pea soup spraying is so passé now isn’t it? The language uttered by the Pazuzu ravaged Regan are still filthy but, due to our more relaxed attitude with swearing, doesn’t seem especially offensive now. I'm still shocked by two things though. This film is unsettling, it plays on your mind long after the titles have rolled. The evil demonic atmosphere is hard to shake off and, for first time viewers, you never forget the first time you see it. 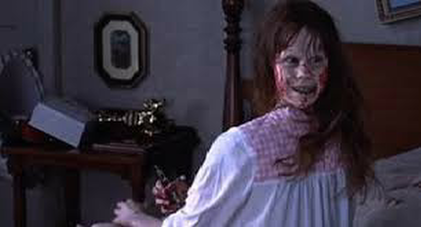 It’s easy to see why The Exorcist tops horror polls time and time again as the scariest film of all time. Yes, you can find films that are more graphic, may even have more ability to shock. 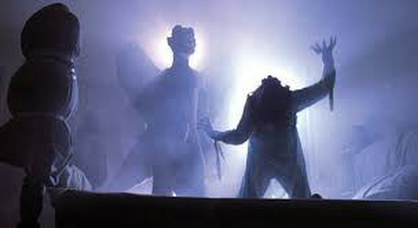 But The Exorcist has it all, tremendous ensemble cast performances, striking imagery and a truly demonic ambience that reaches far beyond Regan. Join me tonight at 9pm as we celebrate this true classic. This was a game changer and I warmly welcome you to indulge.